When psychologists analyze the purpose and meaning in human behavior, they often search for what is called a ‘signature’ in behavior. A signature is the unique style or imprint in a behavior of how someone carries out an act that bears his mindset. Often done in a sequence, the signature is hidden and comes out after careful analysis. Most of us have a signature that is often banal and can be identified by those who know us closely. But there are exceptions. Great men and women have their own signature and leave it for others to decipher what they meant through their acts as footprints. Sometimes even those who have greatness thrust upon them try to do so but fail, no pun intended. Modi ji, our present prime minister, has a signature that is not only unique but not easily understood. It can neither be easily analyzed or deciphered and that is where lies the crux of the problem for those opposing him and trying to understand his moves. He is an enigma, a puzzle like no other leader has been there in Indian history. It is difficult to put him in a slot, a category like others and may explain the desperation of our present opposition leaders. Is that why one calls him a ‘psychopath’ while one whose family has been mass murderers call him ‘maut ka saudagar’? Is it any surprise one who herself has an impulse control disorder talks of tying a rope around his neck and make him go around? Modi brings out the deepest fear in our opposition leaders, the phenomena otherwise known as a defense mechanism called projection. 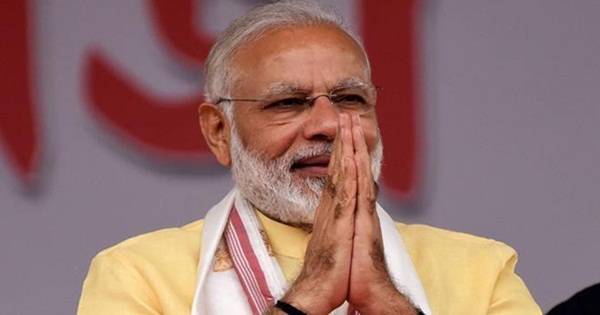 The recent Balakot mission and the operation Shakti are only two of the ones in a long line which bear his unique signature. Otherwise every act of his, whether demonetization, his inviting leaders at his oath ceremony, his visit to Pakistan, all have certain traits that show his style. Modi ji’s signature is what is called a ‘blitz’ style. It is a sudden style where one approaches another without any warning and cuts one off from the system he is operating from, what was holding him so far. This is not a style that the Indians have been so far used to, familiar with ‘chalta hai’ attitude with the laid back styles of leaders like Nehru or Gandhi, passive and coy in front of the Whites or like Narasimha Rao or MMS who would never even react during a national calamity. The blitz style was one that our invaders and rulers had when they won over us, mired in rules. This was the reason why they won and a trait they destroyed in Indians after making us slaves. Is that why the puzzle and disorientation in Pakistan and China over the last five years as to why Indians have changed and are reacting so assertively, hitting back at offenders? Is that why their desperate need to stop Modi ji from coming to power? Is their fear that if Indian people and institutions develop this as a national signature, will it not change the India they have all known? How do we Indians break this cycle of victimhood that has bound us over one thousand years? Victimhood is not broken through dialogue or intellectual discussion but by breaking old boundaries that were considered un-surmountable and inviolate. It is through knowing that nothing is impossible in our destiny whether we are poor or rich, beggars or royals or slaves or masters. The power to be the best comes from imagination, knowing that reaching for the stars is for us too. In the book ‘Jonathan Livingstone Seagull’ written by Richard Bach, after the hero Jonathan, a bird, learned to soar his wings and flew high in the sky, he never wanted to go back to what he earlier believed about himself. From psychological studies we know that it is only when people begin to dream, sacrifice and work hard even accepting martyrdoms that the future of a people can be said to be secure. Are we not at that crossroad now? No leader in Indian history taught us to break boundaries with the exception of Subhash Chandra Bose to create our own destiny. Gandhi and Nehru taught us appeasement and passivity as values, so did Indira Gandhi and Manmohan Singh, in the process destroying courage and initiative and values with which people change their destiny. Vajpayee broke that a little. Modi ji is dismantling it totally. Does that explain the paranoia of our opposition who now cry for proof at every decision of his? Modi ji is leaving them without an identity to cling to the safety they have known and grown up with and one that now lies shattered. Is that why they are also clinging to each other gasping for breath? Future historians may define Narendra Modi as a leader who taught Indians to have wings and fly, someone who led his people to closure over their tragic past and not look at themselves with shame. One of the characteristics of Modi ji is that he rarely plays a victim. Despite being abused, persecuted like no other leader in recent history, he has never played victimhood before the masses. On the other hand almost every other Indian leader plays the victim card including our own royals who do it calling attention to every wrong done to them. We have been used to being ruled over by royals who came from outside for over a thousand years. The fascination of being ruled by a white skin, getting justice from them still runs deep in our psyche. During the ‘nirbhaya movement’ of 2012, I remember seeing young boys and girls on television marching towards the defacto queen’s residence asking for justice. What struck me was these boys and girls were not marching towards our Supreme Court or even to the home of the Chief Justice, but in the direction of the home of the queen. Why did they think they will get justice by marching to her home and not elsewhere? Was it similar to their ancestors who marched to the palace of the king centuries ago wishing the same? Modi, the chaiwala, has upset that apple cart, sorry banana cart. No leader of our country before him flaunted his origins with pride. Most in fact hid them, so ashamed they were of breaking the status quo of the royals. Modi flaunts his childhood as a tea seller without shame and with a pride that is worth watching. Is that why he liberates Indians when he says that your past doesn’t matter and you can transcend it to realize your dreams, something that no leader has said so far? And by doing so has he not dared to offend the royals and their subjects and that too offend them where it offends the most? And when power didn’t corrupt him which it did to every other Indian leader, is that the cause for their degeneration and poor moral stature? Is that why, our opposition leaders ask for proof again and again today, denying him the courtesy and credit he deserves as a leader? Why do they find it unable to acknowledge his political will that is making the enemy go defensive in a long time? Do they believe doing so they will be able to bring him down to earth and make him fallible? But I believe the true reason maybe because in their heart of hearts they know they would have never been able to do the same if they were in his place and history has already recorded that for posterity. Featured image courtesy: India TV.